The best way to travel to Boston is taking one of Bolt Jets superb private charter flights, guaranteeing a luxurious journey from beginning to end. Bolt Jets provides stylish, comfortable private charter jets and helicopter for business or leisure purposes at competitive prices. We fly from anywhere in the world and pride ourselves on offering competitive rates as well as exceptional customer service. We have access to over 1,200 state-of-the-art private jets. So when there’s a business trip on the cards or a weekend away on a shopping spree, hire Bolt Jets for a thoroughly terrific flight experience. We organize every aspect of any corporate or leisure journey, including bachelor parties, private parties, romantic escapes and business trips in Boston. For all private charter flights to and from Boston, our concierge team is always available, 24 hours a day, 7 days a week and 365 days a year. That’s because Bolt Jets strives to deliver superior customer service. 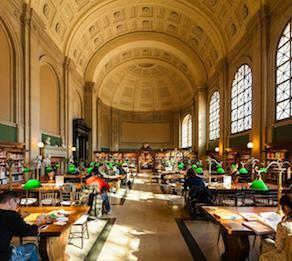 When travelling to Boston it’s a good idea to make sure that there’s plenty of time to enjoy everything on offer. The largest city in New England, Boston features red-brick sidewalks and tall, glistening glass modern buildings in a diverse, modern neighbourhood. 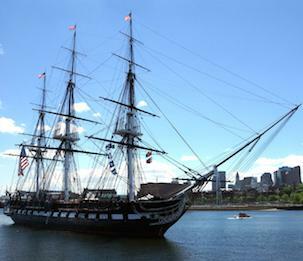 The city is home to the USS Constitution and vast harbors (historically used for the Boston Tea Parties). There are adorable, family-owned restaurants nestled in between the town houses in Beacon Hill and bigger restaurant names situated downtown. The best time to visit Boston is spring and fall because the weather is delightfully warm and the chill in the air has disappeared. Many streets are cobbled with colonial style architecture to admire so feel free to wander round, on foot is one of the best ways to see the city. It’s a good idea to hop on the Freedom Trail which is a 2.5 mile long and hosts 16 different sites from the war of independence. See Boston’s Little Italy and the home of Paul Revere which is typical of how people lived in the 1770’s. Another historic landmark is the Old North Church where Paul Revere warned that the British were arriving by sea in 1775. There’s a huge collection of Boston Tea Party memorabilia to look at. For food and shopping, drop into Faneuil Hall Marketplace and to see a very high fashion neighborhood, drop into The South End which is known for young, upscale living and features tree-lined streets with old-fashioned town houses dating back to the 1800’s. 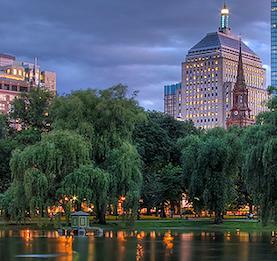 This area is home to many of the best restaurants in Boston and little, independent boutiques. Then head towards SoWa (South of Washington) into Harrison Avenue to take in some of the city’s very best contemporary art galleries. During springtime, the local artists showcase their work to the public. Possibly the best way to view Boston is above the harbour, on-board one of Bolt Jets private flights, from the sky, the entire city is visible on a clear day. The best time to do this is either at sunrise or sunset, just when the city is waking up or as the sun casts its magnificent light over the water. It’s impossible to go hungry in Boston, one of the busiest restaurant hubs in America. There are some superb eateries along Shawmut, Washington and Tremont Streets and one name in particular stands out, Flour. This is a small bakery is arguably the city’s best and serves amazing chocolate macaroons, cakes, tarts, sandwiches and pies. For seafood lovers, don’t miss B&G Oysters which serves deliciously prepared and perfectly cooked shellfish. Potentially the best Asian food can be found at O Ya which is a Japanese tavern that serves premium quality food, although be mindful, it is very expensive. Try luxurious ton katsu and miso soup and wash it down with their homemade sake. Delicious Italian and French food can be found at Menton where a four course prix fixe menu can be enjoyed featuring interesting concoctions such as black truffle, butter soup, sea urchin and honey and caviar. Too busy to try out the best eateries in Boston? Speak to our dedicated concierges team to arrange for dinning options from your choice of any Boston restaurant during your charter flight out of Boston. For the very best in private charter flights and helicopter hires in and out of Boston, look no further than Bolt Jets. We guarantee a superior level of service with a dedicated concierge team there to tend to everything. Our flight packages are extremely competitive and we won’t be beaten by competitors’ prices. Planning a corporate trip to Boston? The Bolt Jets concierge team is available to plan any business trip to and from Boston. Their knowledge of the area is second to none and they can advise on all aspects of private flight hire. From organising restaurants in the area, helping with private transfers or recommending the best hotels in Boston, they are always at the end of a telephone, 24 hours a day, 7 days a week, 365 days a year. There are different airport options when chartering private jets to and from Boston.